Canoe trips are rewarding ways to experience nature and our beautiful waterways, and a certified guide will help by making it a safer and more enjoyable trip. Guides can take care of preparation, planning, safety, cooking and navigation, nature interpretation and more, leaving you more time to enjoy the experience. If you are unsure of the risks associated with canoeing on open waters and wilderness rivers, a guide is highly recommended. 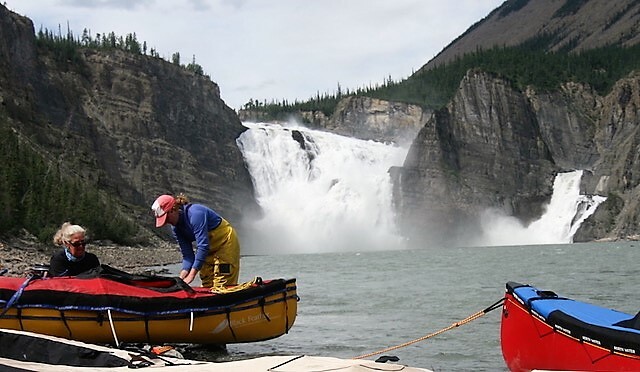 There are many companies that run excellent trips and have a high standard of training for their guides, and they can be a great choice for leading your canoe trip. You can also hire an RCABC trained guide to lead your own private trip. There a number of companies that support RCABC by hiring trained guides and instructors. In the future we hope to list those companies to recognize their support. Contact the Executive to get more information on instruction or guiding.